The Accellera IP-XACT Technical Committee has elected Jean-Michel Fernandez, Embedded Systems Product Line director of Magillem as its co-Vice Chair. He will second the Chair Erwin de Kock, to manage the technical discussions and contributions for the IP-XACT IEEE 1685 working group. Magillem has always been involved with the propagation of the IP-XACT IEEE 1685 standard. As an active associate or board member of Accellera, Magillem is recognized as the IP-XACT EDA leader and has been a long time contributor to the technical IP-XACT working group. Indeed, this working group’s task consists in identifying areas of improvement in current IP-XACT standard, defining standard for power analysis, early prototyping, AMS, verification, debug, defining the extensions aligned with committee member companies and EDA vendors, and encouraging the world semiconductor community to enrich their design with IP-XACT. 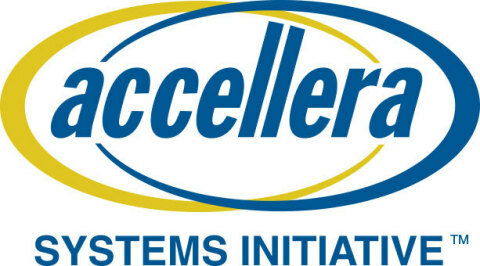 As a technical expert and provider of a comprehensive IP-XACT validation software suite, Magillem participates in the development of Accellera System Initiative standards, provides a “compliance lab” for the standard, markets solutions using IP-XACT, claims the largest number of IP-XACT customers worldwide and offers a unique training on IP-XACT and its methodology. IP-XACT meta description of components and designs written in a standard data exchange format (XML) is both human readable and machine processable. It describes electronic system designs. This standard structure is useful for packaging IP (bus interfaces, ports, registers…), for integrating IP (to describe IP instances and their connections), and for reusing IP within tool flows (interface format to access XML data). IP-XACT is key to achieving ease-of-use of system integration, verification and automation.